DNO Heidelberg – Deutsche Neurowissenschaften-Olympiade e.V. 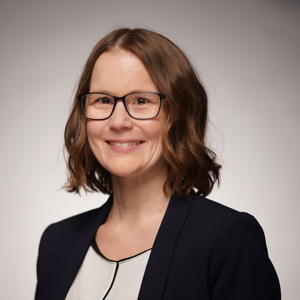 As home of the oldest university in Germany, The University of Heidelberg places special emphasis on initiating dialogues across traditional subject areas, promoting a strong creative interdisciplinary research community. 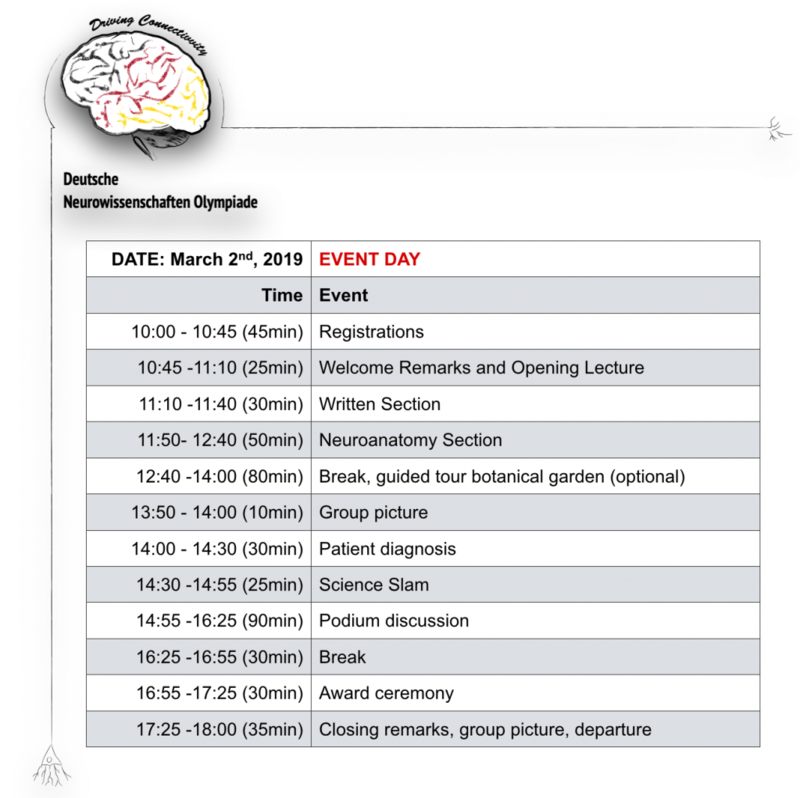 The event will take place on March 2nd, 2019 on the campus of Heidelberg University. By car: from theA5 motorway(Karlsruhe-Frankfurt) take the exit to A656 direction Heidelberg. Continue on B37. Follow the signs for Universität Im Neuenheimer Feld andZoo.Turn right on Vangerowstraße and continue slightly left on Iqbal-Ufer. Underpass the bridge, turn right on Vangerowstraße and cross the bridge. Follow the signs to the Zoo. We recommend to use the Zoo car park and to continue by foot. By foot from Parkhaus Zoo: start on Tiergartentraße to the east. Follow Tiergartenstraße/Hofmeisterstraße. Turn left into the Botanischer Garten at the bus stop “Botanischer Garten”. The building is to your left. By public transport: From Heidelberg Hauptbahnhof take RNV 32 direction Neuenheim/Kopfklinik.Leave the bus at Botanischer Garten“. The entrance is to your left. Founded in 1386, the Ruprecht-Karls University in Heidelberg is Germany’s oldest University. The University describes itself as a research university with a strong international and interdisciplinary orientation. The Neurobiology faculty, founded in 1976 as the second of its kind worldwide (right after the foundation of the Neurobiology faculty in Harvard! ), initiated the establishment of the Interdisciplinary Center for Neurosciences (IZN) in Heidelberg. The IZN was founded in 2000 as a research network getting together neuroscientists from all faculties and local research institutions. 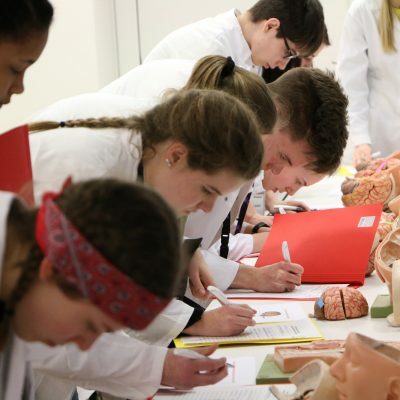 More than 60 research groups are currently part of the IZN, thereby connecting different research fields to transfer knowledge and technology to improve graduate and post-graduate education in Neurosciences. Since 2016, the IZN is an official partner of the DNO in Heidelberg. 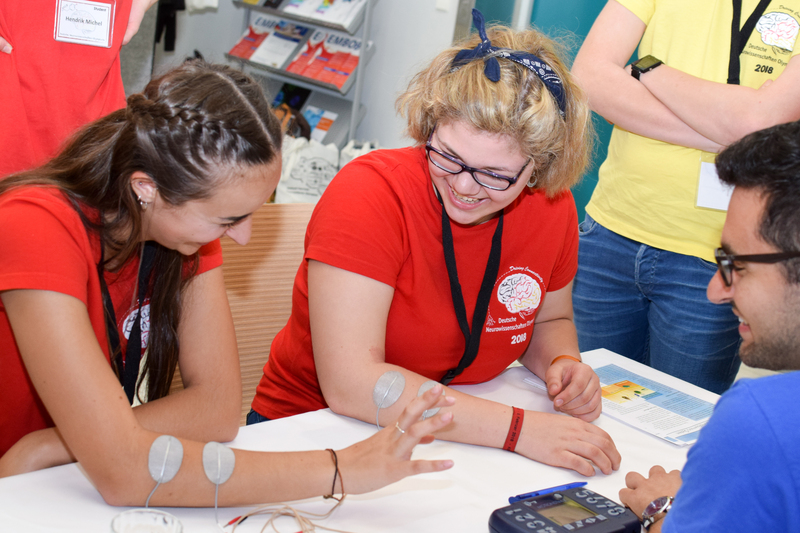 In addition, the ‘Deutsche Neurowissenschaften-Olympiade’ is supported by the University’s Cluster of Excellence Cellular Networks (CellNetworks). CellNetworks assembles excellent groups focusing on research in molecular life science and computational sciences, chemistry and physics to tackle fundamental questions in cell biology, its network structure and architecture, dynamics and regulation. 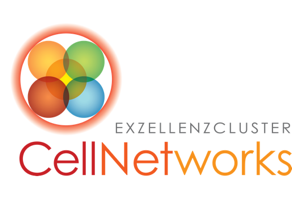 CellNetworks assembles excellence groups focusing on research in molecular life sciences, computational sciences, chemistry and physics to tackle fundamental questions in cell biology related to network structure and architecture, dynamics and regulation. 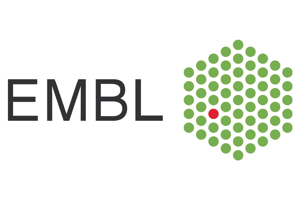 EMBL is Europe’s flagship laboratory for the life sciences. We are an intergovernmental organisation established in 1974 and are supported by over 20 member states. 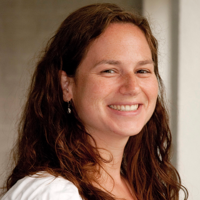 EMBL performs fundamental research in molecular biology, studying the story of life. 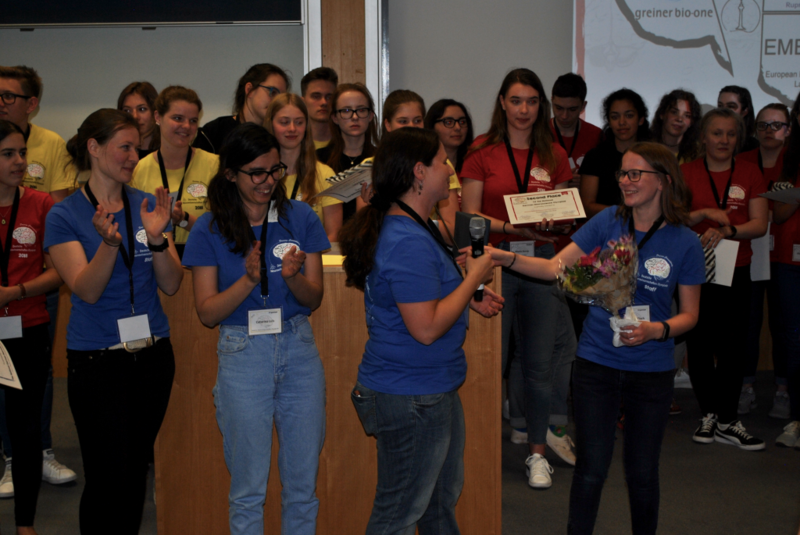 We offer services to the scientific community; train the next generation of scientists and strive to integrate the life sciences across Europe. We are international, innovative and interdisciplinary. We are more than 1600 people, from over 80 countries, operating across six sites in Barcelona (Spain), Grenoble (France), Hamburg (Germany), Heidelberg (Germany), Hinxton (UK) and Rome (Italy). Our scientists work in independent groups and conduct research and offer services in all areas of molecular biology. Our research drives the development of new technology and methods in the life sciences. We work to transfer this knowledge for the benefit of society.